Tickets and volunteer opportunities are available at RocketMortgageClassic.com. Detroit’s first-ever PGA TOUR event scheduled for June 25-30 at the Detroit Golf Club. 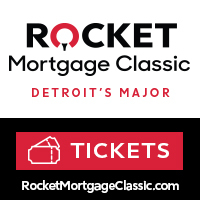 DETROIT (April 2, 2019) – Fans are encouraged to act quickly, as tickets for the inaugural Rocket Mortgage Classic are selling fast, and a number of options to attend the first-ever PGA TOUR event to be held in the city of Detroit have already sold out. Among the dwindling supply of ticket options still available are the Daily Grounds Ticket (ranging from $10-$55 per day), Weekly Grounds Pass ($175 for the week) and a few group hospitality packages. All remaining tickets can be purchased at RocketMortgageClassic.com. Since going on sale in recent weeks, the tournament has sold out of the Good Any One Day grounds passes and weekend passes to Club 16, the popular hospitality venue with indoor and outdoor seating overlooking the 16th green and the 17th tee. A very limited quantity of Thursday and Friday passes for Club 16 are still available. The Rocket Mortgage Classic will be more than just a new sporting event in the city of Detroit. 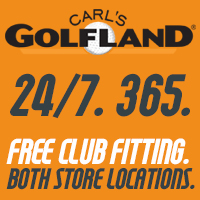 In addition to the excitement of watching 156 of the world’s top professional golfers competing over four days, attendees will experience great local cuisine, unique entertainment options and numerous other exciting social activities to enjoy outside the ropes – both at the golf course and throughout the city. Detroit Golf Club will be open for fans with tickets beginning with player practice rounds on Tuesday, June 25, and the Delta Dental Pro-Am at the Rocket Mortgage Classic on Wednesday, June 26. 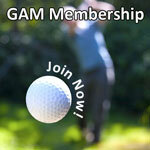 The 72-hole tournament starts on Thursday, June 27, and concludes on Sunday, June 30.